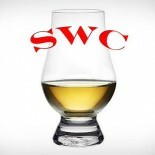 Every now and then, we come upon whiskies that are relatively cheap but are quality pours. These are great value whiskies that we would consider good gets, and we try to find as much of those as possible to point out to you. On the flipside, we occasionally encounter an expensive, top shelf “luxury” whiskey we wouldn’t sip with a gun to our heads. The quality doesn’t equal the marketing, to put it simply. These we also try to point out to you. A creative way to discover which side these bottles fall on is to taste them blind. The whiskey poured is sampled or reviewed without the taster knowing much detail. This way, the brand or marketing gets out of the way, expectations are managed and the spirit speaks for itself, really. Our first blind tasting was with a top shelf, “luxury” offering known as Jameson 18yr Old Limited Reserve. The distillery’s older stocks are blended together from a mix of 50% 18 year old sherried Irish whiskies and 50% equally old grain whiskies. An 18yr old bottling is a proving ground age for most brands, especially brands as recognizable as Jameson. 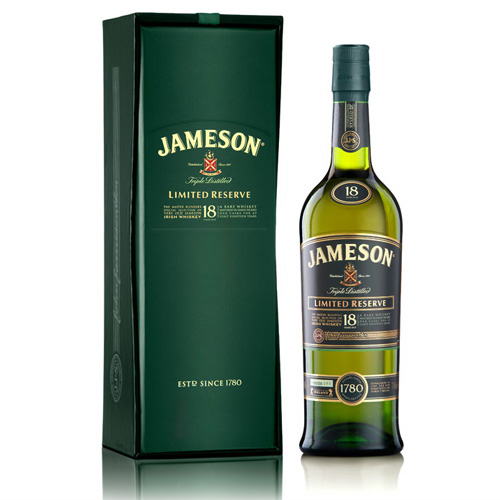 So, how did our first blind tasting pan out for Jameson 18? Read on…. Nose– Rich and complex. Fruit notes of apple and dried apricots. Vanilla and caramel with rich oak. Fresh but mature. Taste– Honey, peach, nutty. Flavorful and balanced. Brown sugar. Finish– Medium to long fruity finish. Lingering. Comment – Classic and complex. Delicacy to it but plays like a heavy hitter. Wonderful. More, please.